Growing up in a culture where psychedelics are demonized, mind-altering substances are not a welcome topic of conversation in many homes. Knowing the perils and promise of entheogens, many of us face the question of whether to broach the subject with our children at all and if so, how. 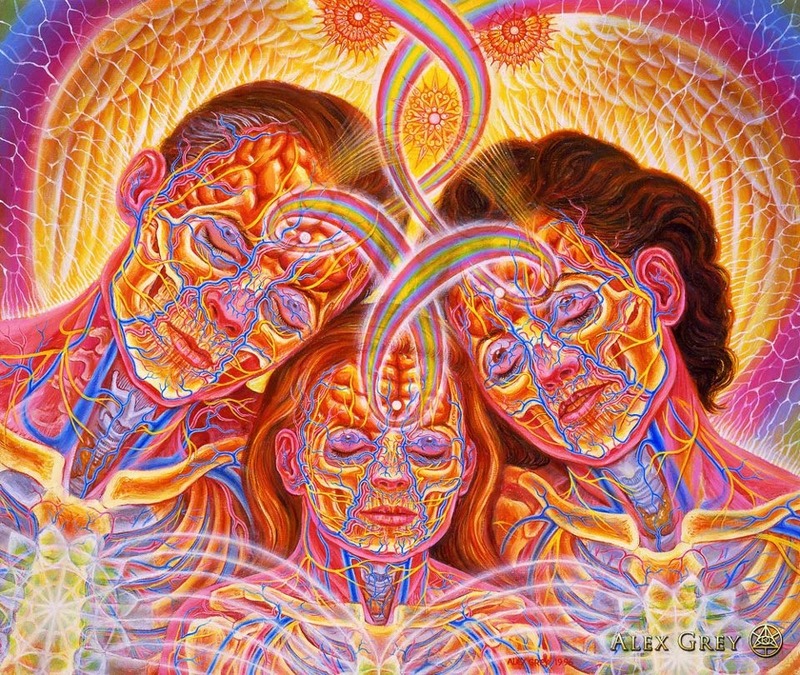 Alex and Allyson Grey share from their own experience and site reports from MAPS, Erowid, Entheogen Review, Drug Policy Alliance, and include both U.S. and European source material. Also, included in this podcast is a talk with Ralph Abraham who speaks about "The Connection Between Mathematics and the Logos" ! Ralph Abraham tells the story of how he became involved with the psychedelic community and how psychedelic medicines informed his work and that of the generation who developed the personal computer among other achievements. In this trialogue, Ralph poses (and answers) the question, "Have psychedelics had an influence in the evolution of science, mathematics, the computer revolution, computer graphics, and so on?"